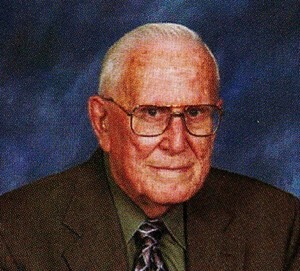 Pastor Marlin J. Love, of Turner, died Feb 17, 2013. He was born on Nov. 2, 1925, in Molalla. His parents were James T. Love and Lora Judd Love. He graduated from Molalla High School, Northwest Christian College, and Drake University. He was a pastor at several Christian Churches in Oregon, including 26 years at Redmond Christian Church. On Aug 20, 1949, he married Eileen Neal. Pastor Love was preceded in death by his wife, parents, stepmother Edna Love, four brothers and four sisters. He is survived by his sister, Violet Lyman, of Riverside, Calif.; sons, James Love of The Dalles, Neal Love of Bend, John Love and Lloyd Love of Turner; daughter, Kelly Titus of Anchorage, Alaska; five grandchildren; five great-grandchildren; and numerous nieces and nephews. 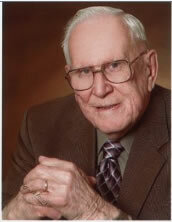 Services will be March 16, 2013, at Oregon Christian Convention Center, 5605 Jubilee Dr. SE in Turner. Memorial contributions may be made to Turner Retirement Home or Willamette Valley Hospice.